Writer-director John Michael McDonagh stages a rambunctious game of postmodern Cluedo with Calvary, a film that sets the date for a murder and then introduces the suspects. Brendan Gleeson stars as Father James, a good priest surrounded by a flock of potential wolves. In the darkness of the confession box, a man announces that he was abused as an altar boy and is hell-bent on revenge. Father James, as the church representative, must now take the fall. His crucifixion is booked for the following Sunday, just down on the beach. The priest has a full week to put his own house in order. James knows who wants to kill him even if we do not. The drama that follows, then, is not so much a whodunnit as a who-is-going-to-do-it. Or possibly a who-else-knows-who-is-going-to-do-it. The priest’s daily rounds carry him back and forth around the rocky country of Sligo, where whitewashed homes perch in the landscape and the laundry snaps aboard the washing line. Along the way we meet the boisterous butcher (Chris O’Dowd), the supercilious squire (Dylan Moran) and the devilish medic (Aiden Gillen), snorting coke in the pub toilet and lamenting his lot. “The cliched doctor; there aren’t that many good lines.” Calvary, it should be noted, is a film that is constantly commenting on itself, looking askance in the mirror and chuckling at its own presumption. Hallelujah, thank heavens, McDonagh’s film is terrific (at least until the denouement, when it rather strains for grandeur). 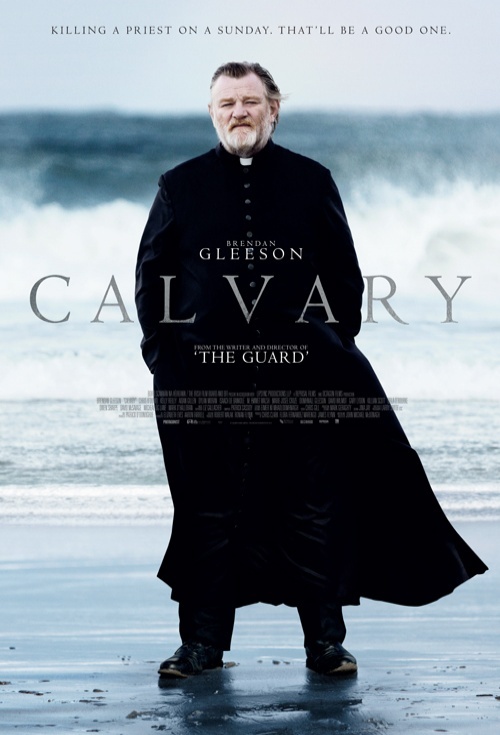 Just like The Guard (the director’s 2011 debut), Calvary boasts a sharp sense of place and a deep love of language. It’s puckish and playful, mercurial and clever, rattling with gallows laughter as it paints a portrait of an Irish community that is at once intimate and alienated.